A pet wellness exam is a general health assessment and screening to ensure your pet is healthy. 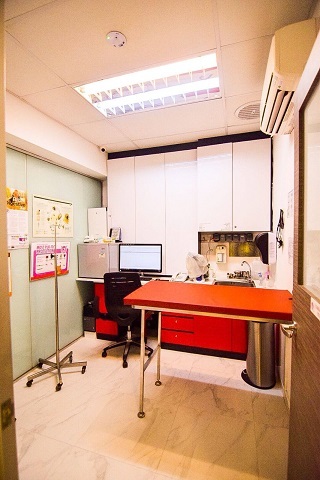 A comprehensive physical examination along with diagnostic tests such as blood work, urinalysis, stool analysis, imaging studies etc, may be performed depending on the age, health status and needs of your pet. Pet wellness exams should be performed annually and are an important aspect of pet preventative health management from an infant stage to geriatric stage. Our veterinarians will perform a thorough physical examination on your little ones during this visit; checking for any congenital abnormalities and ensuring your new pet is well and healthy. Diagnostic tests may be performed if indicated. A healthcare plan including nutrition and preventative healthcare will be discussed and we will gladly assist you with any further queries regarding the care for your new family member. Help your precious pet start their journey on the right note! We provide pre-export health examinations, testing, and certification before your fur babies embark on their journey abroad. Let us help you ensure they are fit and suitable for travel and relocation to their new home. You may visit the Agri-Food & Veterinary Authority of Singapore website here for further information on pet export guidelines. We believe in a holistic approach towards pet care and practice TCVM to complement with Western medical practices. Feel free to contact us at 6455 6880 if you have any queries.